I can’t believe it’s taken me this long to finally get around to watching Drag Me To Hell, but it was definitely worth the wait. It’s an absolutely beautiful film: très funny, hella scary and always Raimilicious. It’s the exact antonym of boredom, and is even good enough to make me retrospectively alter our classic Best of 2009 list. 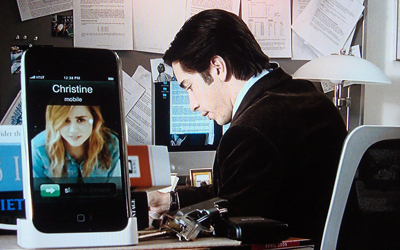 Justin Long had an iPad way before you. 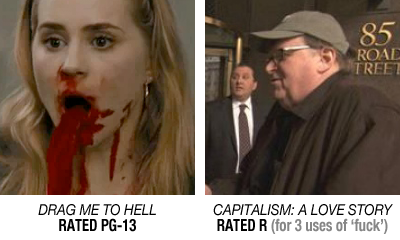 It exposes the insanity of the American rating system.